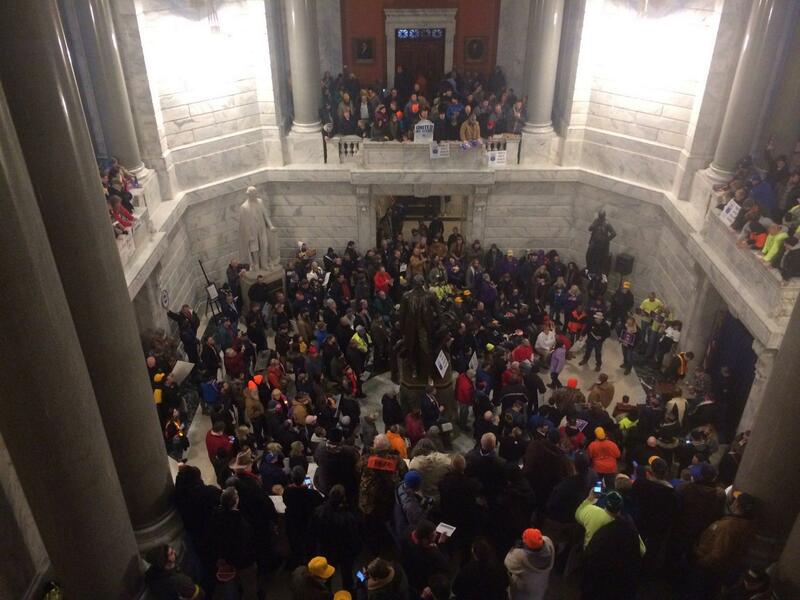 Union workers rallied for hours against right-to-work and the repeal of prevailing wage bills. Their protest continued through floor debate in the Senate. Lancaster’s Sammie Marcie, who works in the natural gas industry came to Frankfort with his two sons, one a union member and the other in college. “We’re trying to fund a college education for him and our politicians think that it’s gonna be easier to do that by working for less money," explained Marcie. The right-to-work measure prohibits requiring workers to join or pay fees to a union as a condition of employment. Gov. Matt Bevin has announced he will officially sign the bills passed Saturday on Monday January 9.